More than 31 million people in 12 provinces have been affected and over 2.7 million hectares (6.7 million acres) of cropland has been submerged due to El Nino-triggered rain coupled with Typhoon Nepartak that hit central and southern China in June. The country has seen the worst flooding since 1998, killing 237 people, destroying farms, blocking major transportation arteries and causing damages worth U $30 billion. After the typhoon struck Fujian on July 9, it brought torrential rains to Minqing County, causing casualties and economic loss to the tune of $320 million. This is China’s second most expensive weather-related natural disaster in history. In March, authorities had issued a flood warning to people in the middle and lower Yangtze River Delta ahead of the El Nino, a phenomenon resulting from the warming up of Pacific around the equator. When temperatures increase by 0.5 °C or more for six months, El Nino is declared. Zhang Zuqiang, spokesman for the China Meteorological Administration, said that the first typhoon normally forms around March 19. According to him, delayed onset usually happens in the year following a strong El Nino phenomenon, as it happened in 1973, 1995 and 1998. However, the delayed onset of a typhoon doesn't mean the total number of typhoons affecting China is reduced, observed Zhou Bing, chief engineer at the National Climate Center. Lin Erda, director of the Research Center of Agriculture and Climate Change, Chinese Academy of Agricultural Sciences, said that China's northern region will experience heavy rain in the near future. In fact, the monsoon rain will continue across eastern Asia until October. Hence, there is likely to be more torrential rain triggering more flooding and landslides. The national meteorological authority has predicted more and stronger typhoons to hit China’s coastal regions due to the La Nina phenomenon. While the strong El Nino ended in May, but La Nina is likely to upset the weather pattern in summer and autumn. "With the lingering influence of El Nino, China may see fewer typhoons during the summer. But because of the coming La Nina, there may be more typhoons in the fall," said Zuqiang. Wuhan, the biggest city in the Yangtze basin, has a population of about 10 million. This year’s rainfall has already broken the record of 1998 when monsoon rains affected 28 provinces and 223 million people. 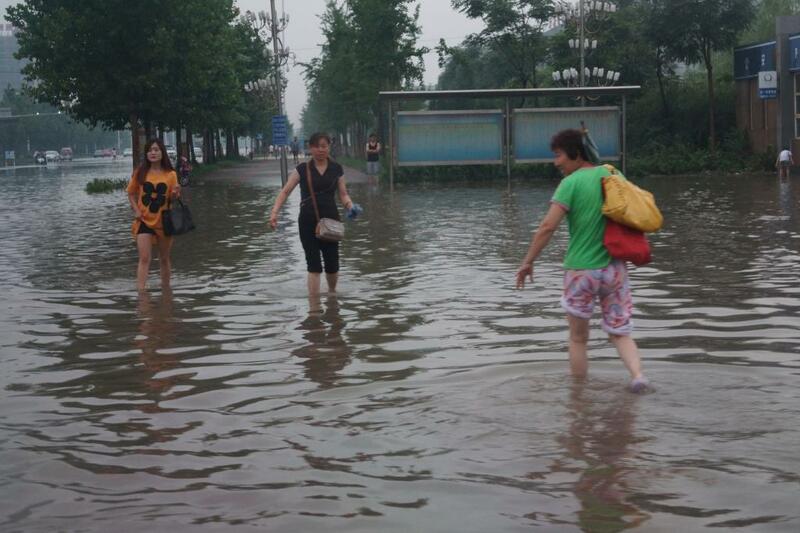 According to Wuhan’s meteorological authorities, from July 1 – 6, rainfall in Wuhan’s four main districts reached 932.6mm, 1087.2mm, 887mm and 833.9mm respectively. The total rainfall was 549 mm higher than 1998 levels in certain areas. While Wuhan is a low-lying region built on drained marsh land, it has been highlighted that the water levels in the Yangtze and Hanshui Rivers had gone higher than the city streets, which meant the rainwater had nowhere to go. According to an urban climatologist, “Construction has reduced the city’s ability to absorb water; and lakes have been filled in, leading to more water logging.” A report from the Beijing News revealed that the city’s lake area has shrunk by a third over the last 20 years due to rapid urbanisation and land reclamation projects, reducing the city’s ability to absorb floodwater. The world’s second-largest economy is facing the impact of farm damage and transport disruptions, which are likely to continue for months to come. According to China’s National Development and Reform Commission, fruit and vegetable prices had "risen significantly" in flood-hit regions. With flood wreaking havoc in the Yangtze River basin, considered China’s food bowl, the prices of rice, pork and fish are expected to rise. Food and product shortages could continue for some time as factories and offices remain closed in some of the most industrialised provinces.